Vitabu is pleased to have Ahmed Koroma in our virtual room. 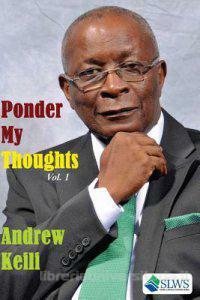 Koroma just published a collection of poems that's garnered some great reviews. By day, he's a very left-brained analytical chemist. At night, his right brain comes alive. “Words matter,” says Freetown-born Koroma, who attended two of the most famous schools in Sierra Leone’s capital city: St. Edwards Secondary and the Prince of Wales. Later, he graduated from one of West Africa's most storied educational institutions, Fourah Bay College (FBC), with a bachelor of science (honors) in chemistry. Koroma moved to America sometime in the 1990s for graduate studies and earned a master's in chemistry from California State University at Northridge. He still lives in California, from where he takes us on a virtual tour of his poetry set 5,000 miles away in his homeland, Sierra Leone. The nation was ravaged by war for almost a decade. Vitabu: Of Flour and Tears has garnered some great reviews from critics and commentators such as Lansana Gberie, Kayode R. Robbin-Coker, and Sheikh Umarr Kamarah. 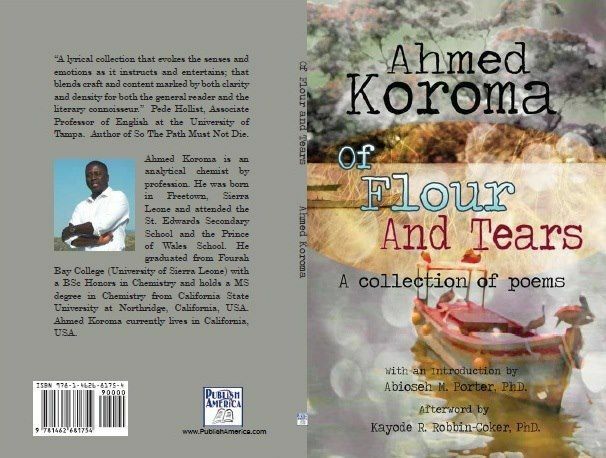 "Ahmed Koroma is, after all, a poet who, as Professor Porter reminds us, combines a natural creativity with the formal training and professional occupation of a Chemist," wrote Robbin-Coker in his afterword. How do you comment? Ahmed Koroma: Well, chemistry as a discipline has always been my first love so it’s only natural that I continued along that path as I defined my career. I never had the opportunity to be trained as a writer or to study literature beyond [teacher] Roland Wright’s English Literature class in Form Three at St Edwards Secondary School. But being a student of chemistry provided me the opportunity to become a keen observer not only in the laboratory, doing experiments and working with chemicals, but also observing events, people and places. Words always matter. I have always been fascinated with combining or sewing words together to articulate feelings. Poetry is that medium which encourages free expression against any backdrop. A friend and final year English student named Martin Mondeh, after I asked him to read my work when I was a freshman at FBC, reminded me that “[poetry] is your voice. It is about how you feel.” Writing is really about who you are, not in spite of it. "growing up was shorthand for heedlessly dashing to and fro across indistinct frontiers between religions, cultures and languages that your parents had labored to sketch out." How did the East End of 1991-2002 figure in your poetry? Ahmed Koroma: (Smile) My folk in Central Freetown, particularly the Bambara Town area, would have an issue with that. But again, those of us who were born and raised east of the Cotton Tree [a famous landmark in Freetown] were generally regarded as East End boys and girls. The lines of demarcation were kind of sketchy to outsiders. 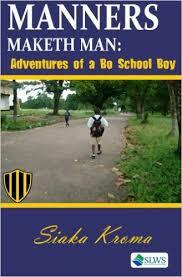 [East End] areas of Big Wharf, Baim-race, Foulah Town, Okay Marie, Magazine and Fourah Bay, for example, featured prominently in my poetry. Poems like “The Bridge” and “Tower Hill” referred specifically to places where I grew up. “Nostalgia” takes you to a major thoroughfare in Central Freetown, namely Sackville Street. The poem, “the Mad Man (from east end Freetown” tells the story of someone we all knew while growing up. To address the period you specifically asked about, 1991 to 2002, I had already left Freetown but my mind’s eyes traveled through those alleyways and back roads of East End and Central Freetown as I searched for imagery; grasping that mental picture in expressing how I felt then, and translating them into words. East End Freetown, like the rest of the country, experienced a devastating war that unleashed an atrocity so unimaginable. The poems, “Images” in two parts, are a result of the scattered thoughts and imagination as we―meaning Sierra Leoneans everywhere―went through that horrendous period you referred to. Vitabu: Your imagery of water flowing uphill to greet those who dare to return is a welcoming portrait of home. As Lansana Gberie points out in his review, gravity is suspended. “That tone of joy and celebration is affecting, and it rescues this collection from its otherwise period bleakness. The nation, after-all, survived the war, and would, can still recover the promise of independence of decades ago." Does your poetry take us to safe places? Ahmed Koroma: Eventually it does. But to get there, we may have to traverse the period of mayhem, the middle passage, if you will, of the collection. The poem, “Exodus” that Gberie mentioned, the final poem in this collection, underscores the notion that there are some influences after all from my world of chemistry. Water flowing uphill is not simply some magical suspension of gravity. It is a process that requires work; an enthalpy change that is not considered thermodynamically spontaneous. Therefore in order to make that happen, positive energy is needed. And it is this positive energy that is going to be the main driving force towards a more sustained peace in our beloved country. It is my hope that we get there. To safe places, yes. Vitabu: Sheik Umarr Kamarah recommends you "as one of Sierra Leone's most promising poets." Your poetry book has generated a lot of buzz and and expectation. What are you working on now? What's next? 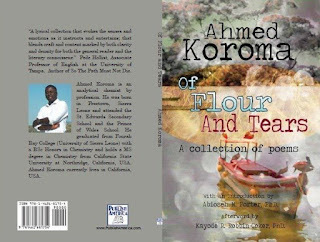 Ahmed Koroma: The fact of the matter is I never stopped writing. I am hoping to put together another collection in the not too distant future. Someone mentioned that mayhem and sadness bring out the best in poetry but I do hope we don’t have to witness such atrocity anymore to generate good poetry. 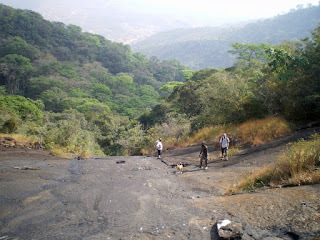 We do have a very rich culture; Sierra Leoneans are blessed with a beautiful landscape, both metaphorical and literal. It is my desire to use poetry to bring to the world that which we so cherish, to be able to transform the mundane into a more expressive but simple language, that everyone will understand and appreciate, and Sierra Leoneans in particular.